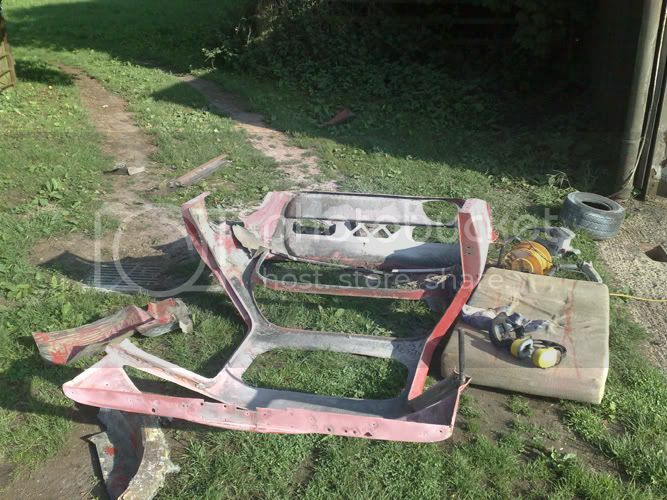 GTM Owners Club Forum - View topic - Coupe rebuild... Here we go again! Coupe rebuild... Here we go again! 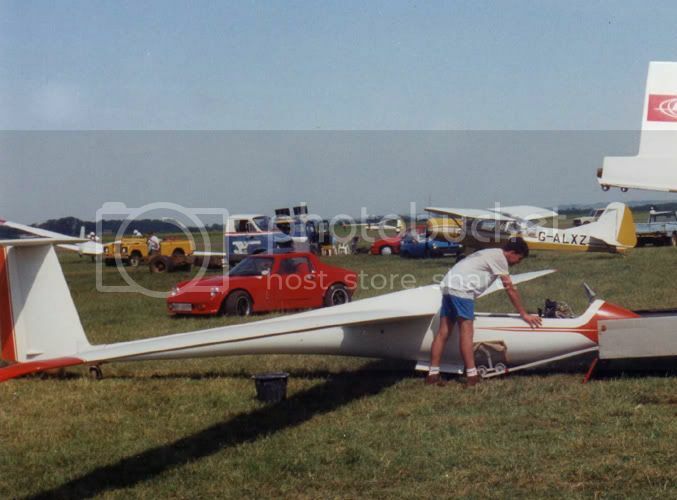 Pictures below hopefully show my 1986 GTM Coupe that I bought and rebuilt over a couple of years, all shiny at a gliding club in 93, going to a wedding in 96. In 1998 I got hit by a 405 in the lanes and it bent the front end drivers side and got parked up. After lying around for 12 years I've started rebuilding it again in earnest. I've cut the rot off and am about to weld back on the new sills. I could do with a mould of the front bonnet as its pretty mushed. It had a metro Turbo lump, but thats out. I've got a Triumph triple 1050 bike engine lined up to go in. It will have to go sideways with the sprocket facing backwards and then I'll bolt on and run it through a Audi transaxle, This will mean minimal modification. Just got to cut the sub frame a bit to lay in the gearbox. I'll be running two gearboxes. I know there will be losses but not as much as chains going all over the place. As for weight, just putting a chain and diff on as most people do will mean needing to bolt on a starter motor and ring for an electric motor reverse. Plus I'll be able to change final diff ratios by just selecting another gear on the audi box. Hill climb run it in third, road use, forth, motor way fifth or sixth and of course there is a reverse in the Audi box. Two gear levers, that will confuse em at the shows. So I could do with a bonnet or bonnet mould. I work with friends at a hovercraft factory at times, I know all about GRP so with a mould, could soon knock a new lighter one out. Last edited by burtythepilot on Sat Jun 12, 2010 2:00 am, edited 1 time in total. Re: Coupe rebuild... Here we go again! Then post the link which it supplies at the bottom of each picture you want to show. If there is img and /img in sqaure brackets, then it will show the picture, if not it will just show the link. Make sure the picture is a sensible size though, as the forum doesn't resize to fit the page. Looking forward to seeing the pixtures. Thanks Tim for the photo advice and thanks others for the warm welcome to the forum. Since a picture can say a thousand words... Here are many words. 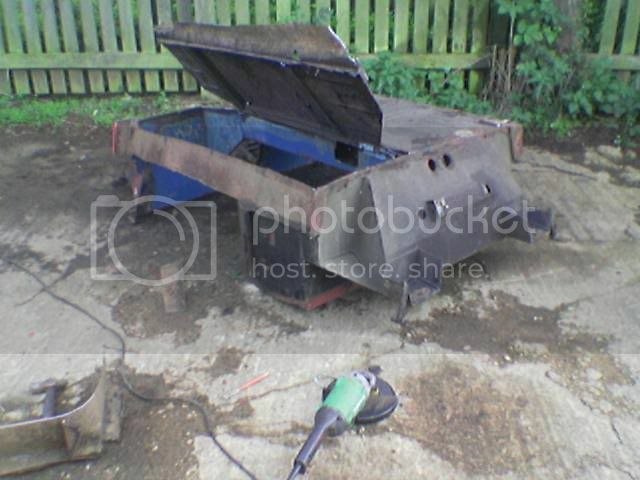 I got the angle grinder with flapper disk out on the body work today. I read there was talk of a bonnet mould...? My Dad built in 1966 Cox chassis number 20. Its also about to have its third rebuild, but it has done 146,000 miles now, so it is only to be expected.. There's been GTM's in our family since last time England won the world cup. 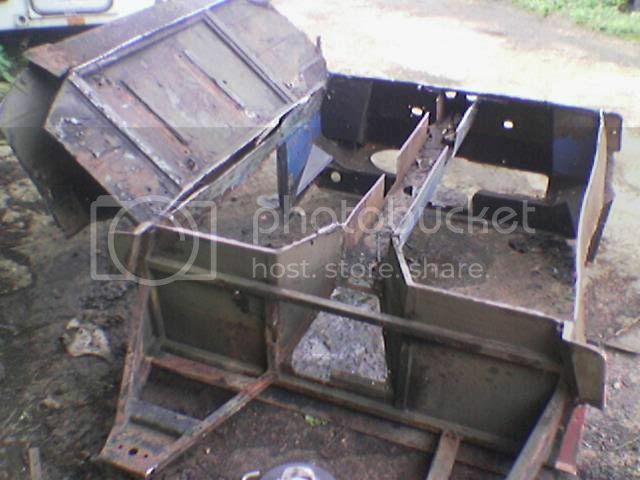 I saw the original number 1 chassis made of aluminium in a poor state about 10 years ago in Lichfield, I should have acquired it. Anyone got any news of it? Being involved in the GTM sceene soo long, do You know what happened with the participants of the original project. Mr Heerey lives in Australia a far as I know. We made a few emails a while ago. Jack Hosker? Bernard Cox? 1. Are you living in east Anglia? I remember having a lift home in your dad's from 6th form many years ago (only you and Ant Barnes had decent cars so I recall!)... and a quick blast in your turbo powered coupé some years later... All a very 'bad' influence as this was what inspired me to eventually own a coupé of my own! Belated congrats on the world record flying achievement, btw.. a write up in the Lichfield Mercury no less!! Wow, such a small world. 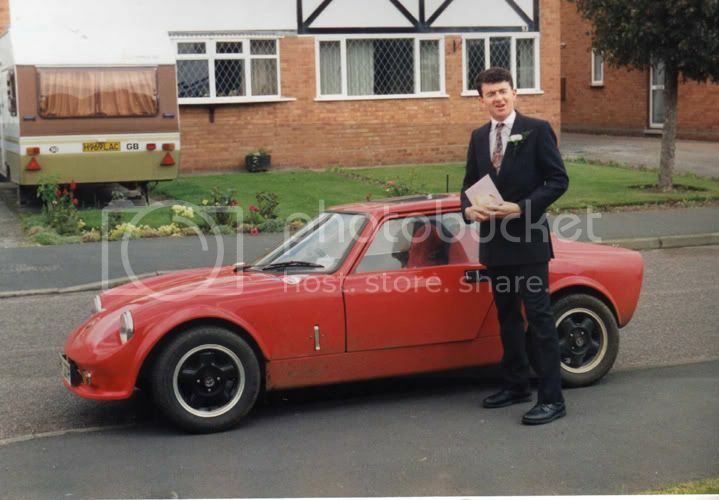 Hi Pete, certainly a long time that be since we were blasting around in my Dad's GTM at school. If I remember well, I was getting a bit miffed that you guys learnt how to slide the windows back, break in and push it somewhere else in the car park every lunch break so I could never find it when the home time bell rang and we were let out of Colditz. Replies for Turbocox, I live in Staffordshire, my Dad can be brought reluctantly to chat about his Cox GTM. It is chassis 20 bought half built off some guy in 1966 and first registered in 1967. My Dad, bought it though as he liked it and at that era, the next sporty thing that came close was a Lotus or other exotic bit of kit. In its day, the roads were full of Morris Minors, you needed an E type, before having so much fun and a £245 Cox GTM was far more affordable. At the time the designers and manufacturers were not really into PR or publicity or product support, so little is known of them even though we have owned a GTM for a long time in the family. Sorry. 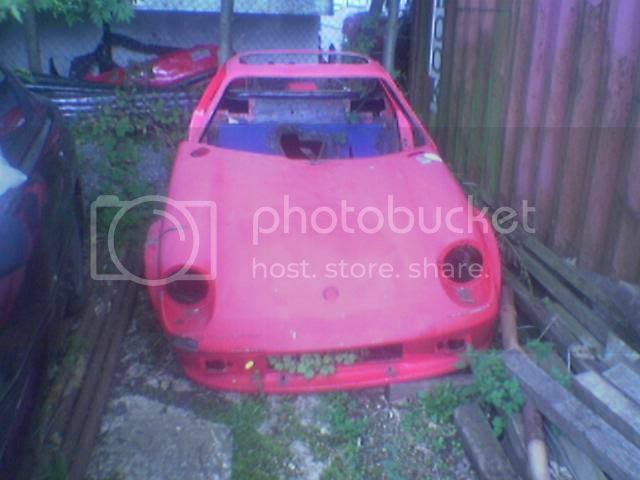 But my Dad has told me that when he bought his GTM the kit car concept was not really formed. Apparently, as I was not born then to know, it wasn't really classified as a kit car, more of a low production special design. 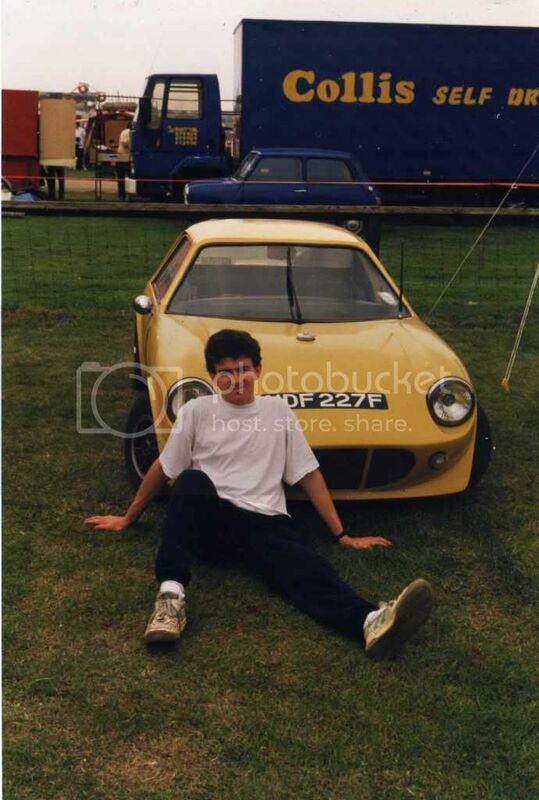 Racing cars that he and all his mates and people of the time made themselves, (My Dad did F100 and Thundersports class, with a 2 litre Aldon BDX, that they built themselves from bent Ali sheets and rivets and GRP) well these cars were all one off specials. Thats what the GTM was at the time. The kit was very limited and you set about designing all the bits that were not supplied, (which was most of it) yourself. Thats why no two Cox GTM's look the same as so many items were left for individuals to design and make differently. The GTM wasn't too reliable, but then cars in those days weren't either. Anyway he used it on a daily basis to do a 50 mile round trip to work each day for about 15 years until the family outgrew it. When my older sister and I went anywhere with my Dad, I used to have to sit on the tunnel and I did this as a baby upto about 10 before I got too big and my legs got in the way of the gears. He put about 85,000 miles on the clock over 16 years. I rebuilt it for my first car, and put another 60,000 on it until I handed it him back to him when I bought my 86 coupe. Anyway, not interesting to all. But the bonnet mould is interesting to me. Pete, who is West (Neil) can I nab this mould off him for a few days? Is there a way of PM'ing me his address or details? I make racing and cruising hovercraft at BBV, so I know all about waxing moulds and prep and so on. Where is home and which coupe do you own now then? ..........But the bonnet mould is interesting to me. Pete, who is West (Neil) can I nab this mould off him for a few days? Is there a way of PM'ing me his address or details? 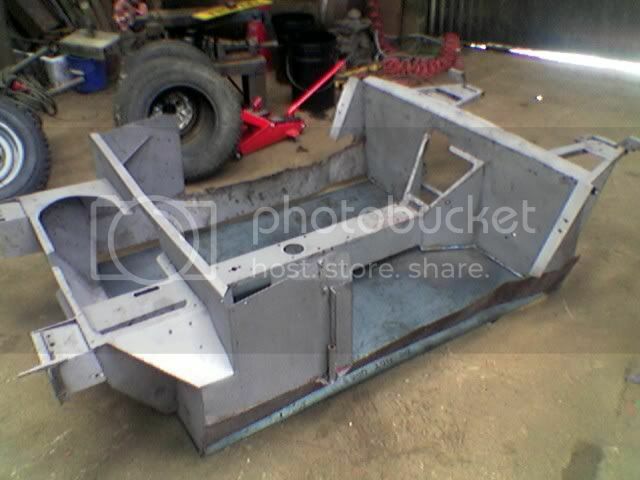 I make racing and cruising hovercraft at BBV, so I know all about waxing moulds and prep and so on. Yup I took a mould from my front and then made a carbon one, still need to finish it! got the product just needs some finishing work and trimming I have not touched it in over two years really must stop doing all the other little projects. 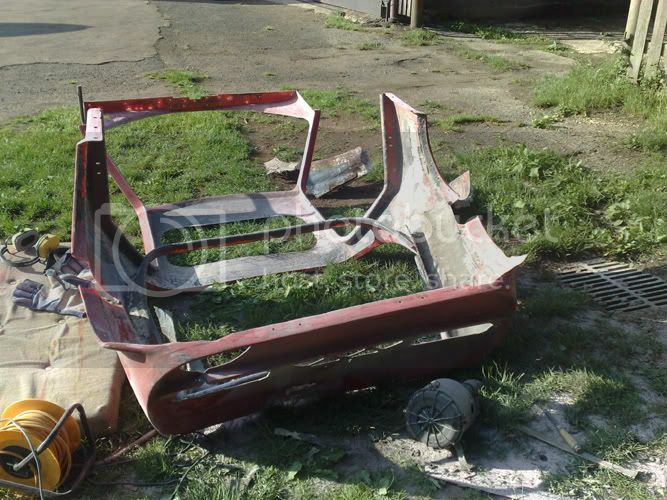 "It is chassis 20 bought half built off some guy in 1966"
The reason I questioned the date, is that it doesn't fit with all the information that I have collected and the general knowledge of the GTM Fraternity. If this date can be verified, It is likely that it will make the COX elidgible for classic Pre 67 racing. Anyhow all your story is interesting and if possible I'd still love a chat with your dad and yourself. Coupe (no8) was built in 1967 as far as I know. My Coupe (no17) was first registered in 1968. They are not documents that are often viewed but my Dad still has the original receipt and the first reg doc. I think I'm pretty accurate with the dates, but I'll find them at my parents home at the weekend and scan them in for all interested. What confuses me with your kit date of 66 is the car reg, is 68, Now I would had thought it would use the Donor reg which means a what would had been a new mini had given up its life, or it managed to get a new reg?